powers two USB devices (ie, an arc and a grid) with data passthrough to computers/modules/etc. power provided by a mini-USB port, which can be connected to a common USB power source (two-prong apple thing, etc). this version is different than the SWITCH module, which powered one device and toggled the data pins between two ports. also FYI, using this with arc + ansible and grid + ansible, the maximum current i measured pulling from the power source (using a USB power monitor) was maybe 250ma. so the issue is really not so much the amount of power but the fact that the draw might create noise. this is of course not true of all power supplies, as much depends on module combinations etc. Monome Switch - out of production? Apologies if I misunderstood, but will this allow me to use an arc & grid with a single ansible module, simultaneously? As I typed that I realized it doesn’t really make sense, given that ansible can’t, for example, run kria and cycles simultaneously. So, it’s just a way to power the devices without asking for 5V from your eurorack power? Sorry I’m being dense. This hung me up for a second too and I started thinking about all of the ways I need to get an Arc as fast as possible. Correct me if I’m wrong, but I think that what it’s meant to do is have two separate connection paths (one for arc/grid, one for arc/grid) and then another connection for the power, but just to keep both of them powered without draw on another power supply (i.e. from a Euro case, or from switch). Not meant to stand in the place of the utility of switch (one arc/grid into two modules), but if you wanted to run both a grid and an arc, you could power them separately without relying two switches or running power off of the case. Tehn - Im wondering - so this is essentially a smoothing circuit and are we really saying this is essential - essentially with as much stuff on that bus as Ive got? This might be useful when your case is critical with power but I don’t see why it would be a must. Personally I thought powering the interface directly from the module was a step forward regarding usability. Or are there any issues with that which I overlooked by now? A nifty solution for flexibel switching between modules would be nice of course but I do not see anything that could manage the various numbers of possible combinations with trilogy and multiple Ansibles. Switch does not work with the Arc. I don’t know why though. > This might be useful when your case is critical with power but I don’t see why it would be a must. Personally I thought powering the interface directly from the module was a step forward regarding usability. Or are there any issues with that which I overlooked by now? the issue here is noise some people are experiencing with some power solutions. the trick is to use usb power, which doesn’t have ground (removing ground from a 3 prong power plug is a popular fix for eurorack noise issues, but that seems dangerous). pretty sure arc works with switch. at least there is no reason why not. I yet have to encounter noise issues with my psu3, so yes, only people with noise floor issues need this. it’s not a smoother or anything sophisticated. it’s simply offloading the power draw of the USB devices to the external power supply. Ah, I understand - Thanks for the explanation! upon investigation there is an issue with the arc firmware when using the switch-- i’m sorry to say that the switch is not compatible with the arc. I am afraid I don’t understand what you are saying here but I am not under the impression that I am having any power issues. am i right in the assumption that the offworld-board is not in eurorack-format (– will therefore not be mountable)? is there another way to get rid of the noise? i’d be happy to unfold my laymans soldering skills and lay a careful hand on the grid or the module. would this work as an alternative to the offworld-board? not 100% sure, but i don’t believe those y-cables maintain fully isolated power and data paths, so you would still get interference. i think the second usb connector (that you would hook to a power supply) merges with the connection to the data connector. i could, and would love to, be wrong as this would make for a very convenient solution! correct, but perhaps someone will take up the cause. personally i think i’d prefer it live outside the case - rack real estate is precious! aside from the diy barrier, i think this is the simplest solution at the moment. the only alternative i can think of is finding a used switch module. I’d like to take a stab at making a mountable version. I’d prefer vertical connectors, but I can’t find USB-A and mini-B connectors that are roughly the same height. The USB-A connector used in Ansible looks like it would work well, though. Is it an off-the-shelf component, and if so, would you mind sharing the part number for it? but not sure how to solve the problem of the mini? But that’s probably too big a difference. Dang. has anyone built one of these? my setup still doesn’t really require offloading the power draw, but i tested this again today and it works well. @billyhologram so i’m back on investigating a 2hp panel-mount version of this. it’s harder than it should be! but mainly because of the mounting. and then using the same mini’s as above. but then i hit a wall at proper right-angle mounts. I’ve been meaning to build one of these (the power supply in my Make Noise skiff definitely doesn’t like the grid very much), and maybe make a little enclosure for it as well, but haven’t had any time lately. I’ve just ordered 3 boards to the UK. Will order parts shortly. 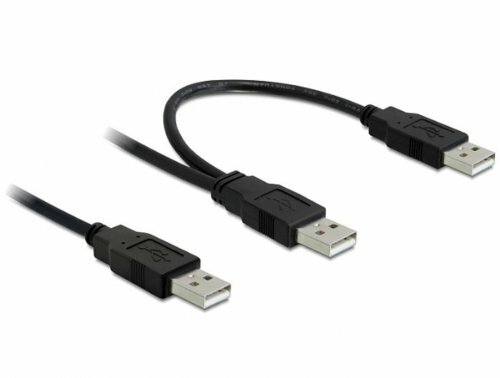 Is anyone in UK/EU interested in one of these - if so, I can order all the parts (2xUSB A, 3xUSB mini-B) and we can save a bit on postage costs. Total should be about £12 for board and components. Get in touch if interested! With @scanner_darkly’s Teletype + Grid beta (Grid ops / integration), it seems like this is now something worth building. Has anyone made a 3D-printable case?